How much do you hate recipes where you need to strain liquid from a hot pot - like when you're cooking potatoes you're going to mash, or when you're draining the liquid from cooked vegetables? Or for those times when I want to pour finished soup stock into a storage container while leaving bones and bits behind? Sure, you can use a colander, but a big colander is more than you need most of the time, right? My mom used to use the lid to hold back the food while she poured the hot water out. It works, but it's not the best option. I have a saucepot that's got a straining lid, and I love that. But it's one pot. I use a whole lot more pots when I'm cooking. 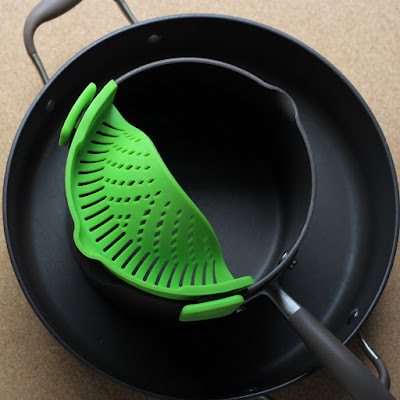 So when I got a chance to test the Multi-Strainer from New Metro , I couldn't say "yes" fast enough. 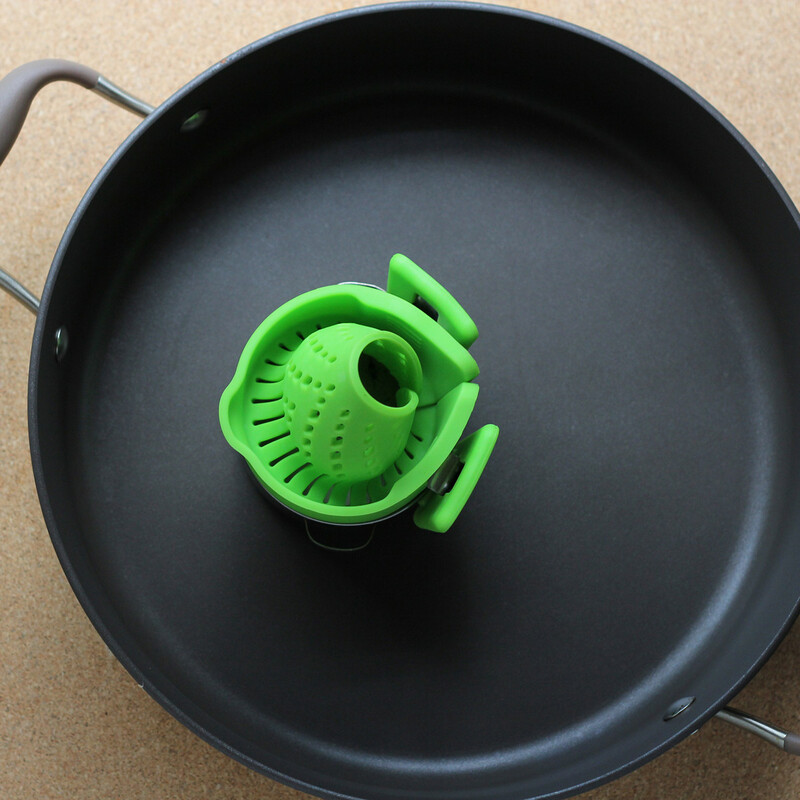 The multi strainer is made from silicone so it bends to fit pretty much any pot. And when I say any pot, I mean ANY. First, I tried it on a standard saucepan. This one has pouring spouts, but the lip of the strainer is deep enough that the liquid came through the strainer rather than out of the spout. Here's another view of the saucepot. Then I tried it on a very large pan. Then I wondered how small I could go - so I attached it to a mini pot I have. 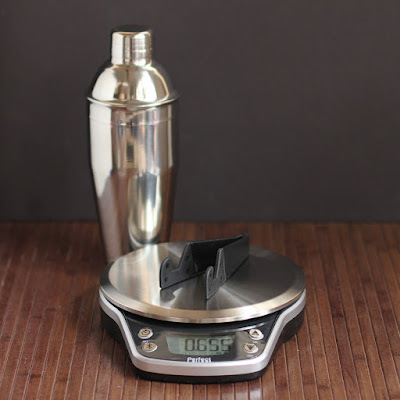 It's about the size of a cup-size measuring cup. I can't think of any sane reason why I'd want to use it on a pot that small, but I attached it anyway, just for the fun of it. It clipped on just fine. 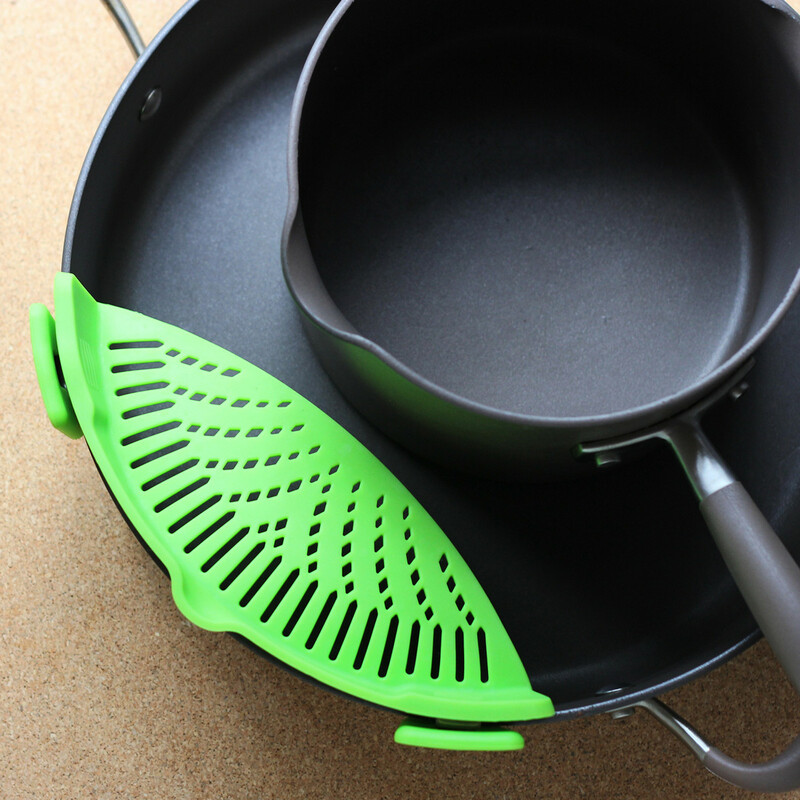 Since it's made from silicone, it's got all the advantages of that material - able to withstand high temperatures, flexible, dishwasher safe, nonstaining, and gentle on nonstick pots and pans. 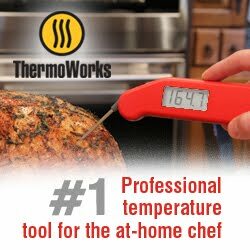 Pros: Clips on securely; won't mar nonstick pans. Cons: One more thing to store - but I think this one is worth, and since it bends you can store it inside a pot instead of in a drawer. Wishes: So far, none. It works well. LidLover Lids - Updated Post!